Jaune Quick-to-See Smith, I See Red: McFlag, 1996. Mixed media on canvas. Courtesy the artist and Garth Greenan Gallery, New York. Jaune Quick-to-See Smith, I See Red: Worlds within Worlds, 1996. Mixed media on canvas. Working in painting, drawing, collage, and printmaking, artist and activist Jaune Quick-to-See Smith, an enrolled Salish member of the Confederated Salish and Kootenai Nation, draws on both indigenous and modernist artistic traditions to explore contemporary Native American identity, histories of colonialism and oppression, and the environment. Born in 1940 on the St. Ignatius Indian Mission in Montana, Smith began exhibiting regularly in the late 1970s. Alongside her own artistic practice, the artist has also been active as a curator and educator, organizing dozens of exhibitions devoted to the work of contemporary Native American artists and giving lectures and workshops internationally. Describing herself as a “cultural arts worker,” Smith situates her work as an artist as inextricable from her work as an activist and advocate for Native American culture. 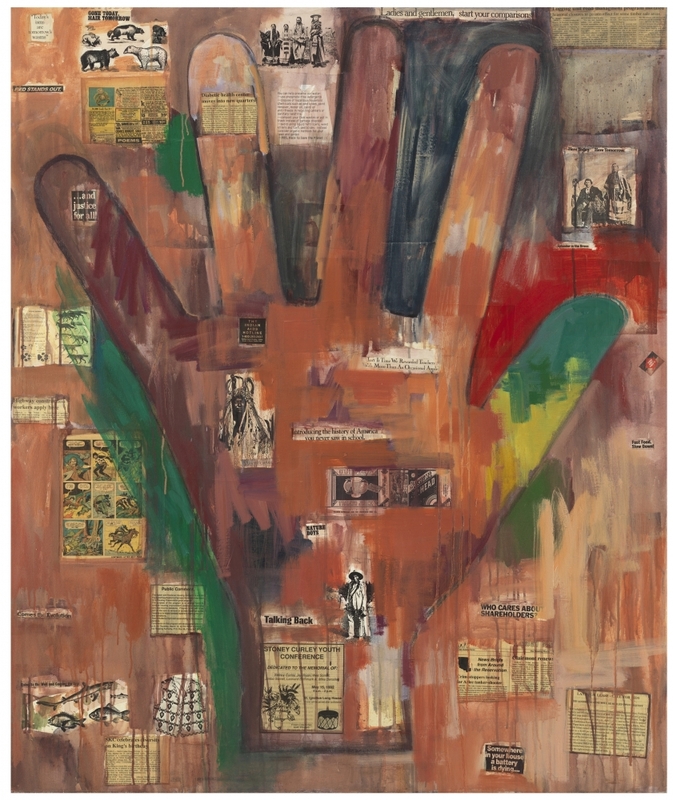 Jaune Quick-to-See Smith, I See Red: Indian Hand (Botero), 1993. Mixed media on canvas. Courtesy the artist and Garth Greenan Gallery, New York. 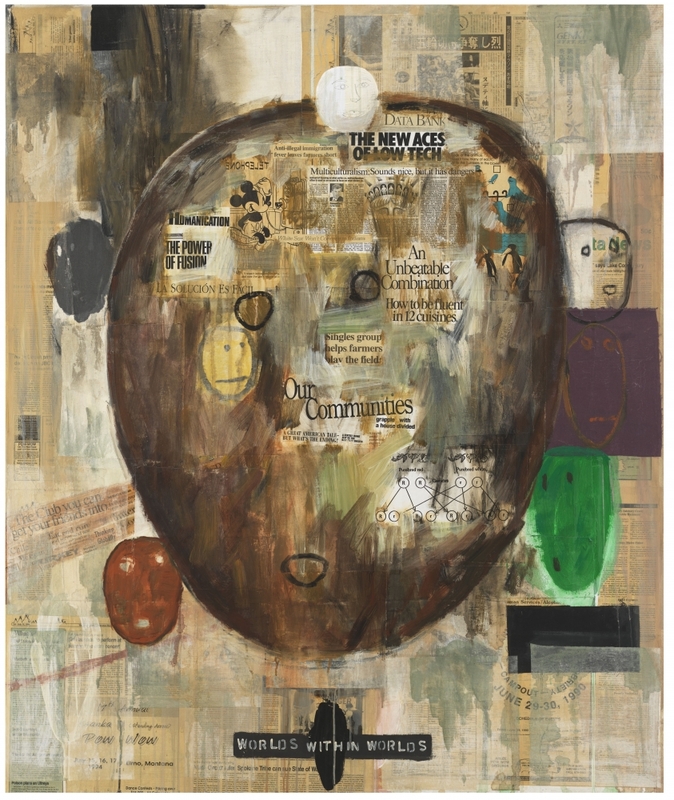 Together... [the works] demonstrate her poignant ability to highlight the paradoxes and contradictions at the heart of American politics and history. 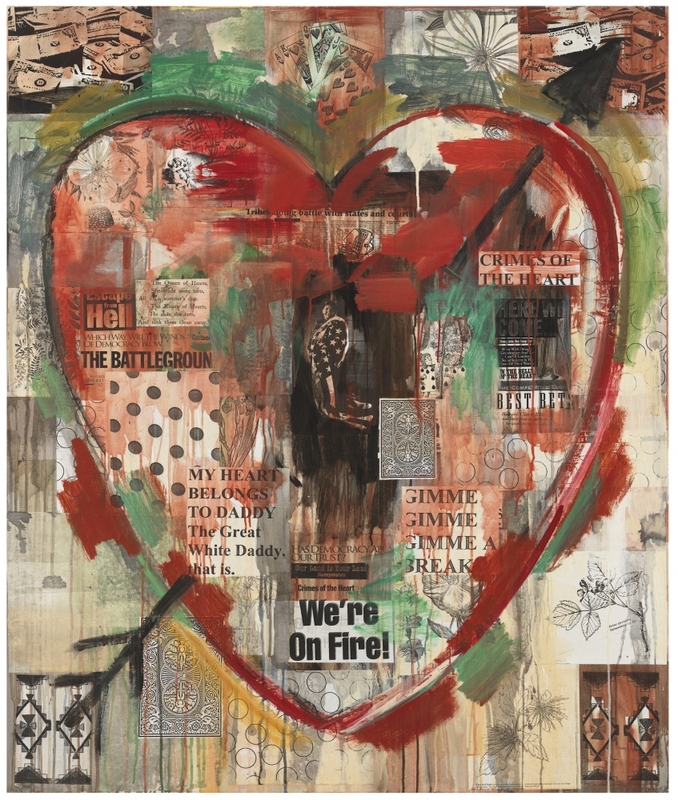 Jaune Quick-to-See Smith, I See Red: My Heart Belongs to Daddy, 1996.